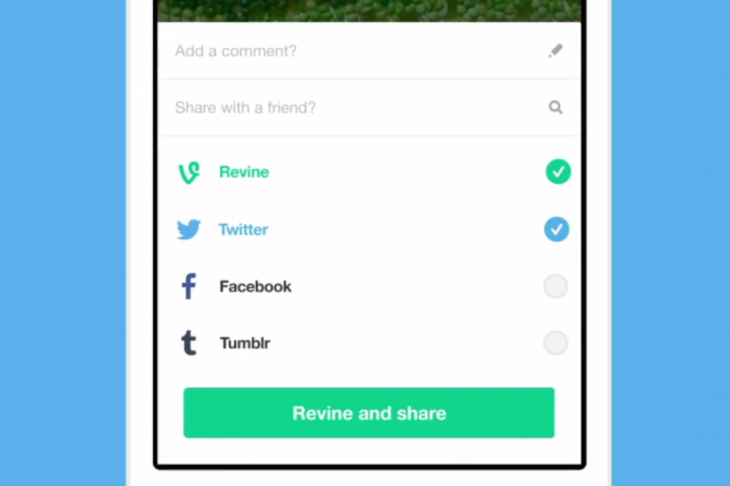 Vine today received a little update that should make sharing just a touch easier… literally. With a new share screen, Vine users can choose to send a specific Vine to Twitter, Facebook, Tumblr, or revine the original video – all at the same time. The update arrives today on iOS, with Android support to follow. To celebrate the update, Vine also announced its official Tumblr blog – it’s a good example of how loops can be showcased on the blogging platform.